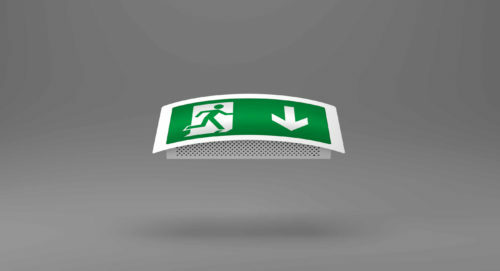 X-ESC - Ringtail Emergency Lighting. 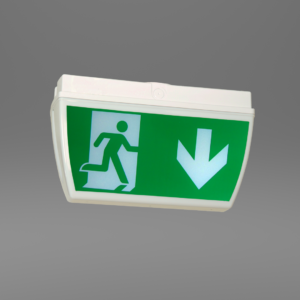 The X-ESC Light is an attractively designed, wall mounted, emergency escape route sign. 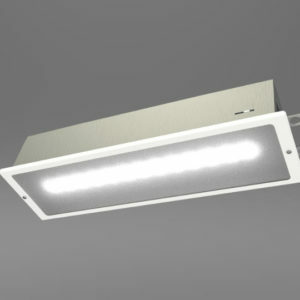 The convex front and perforated downlight section make for an eye-catching alternative. With additional self testing features to ensure that routine monthly and yearly tests are never missed. 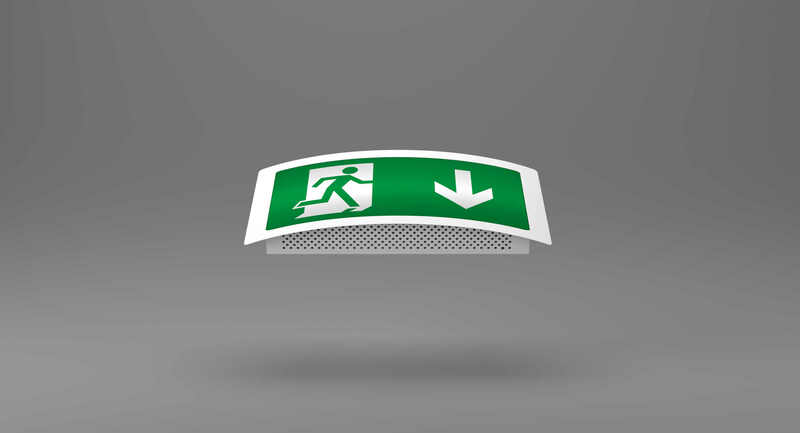 Comprising a white, stove-enamelled, zintec-coated sheet steel base, and fitted with a self-extinguishing legend panel, the ESS Light is designed for use on escape routes and final exits. 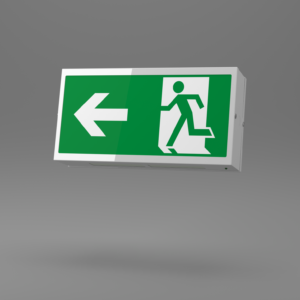 It conforms with the 850°C hot-wire test, as defined by ICEL. The X-ESC Light has a 20mm cable knockout to the back. The X-ESC can be fitted with many different legends. 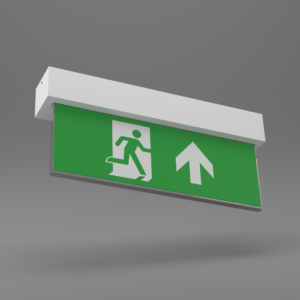 With flexibility in mind, there’s a comprehensive choice of alternative finishes including any British Standard or RAL colour.